Neptune Sailing has been part of Suffolk Water Sports Association and is a Recognised Training Centre for the RYA. 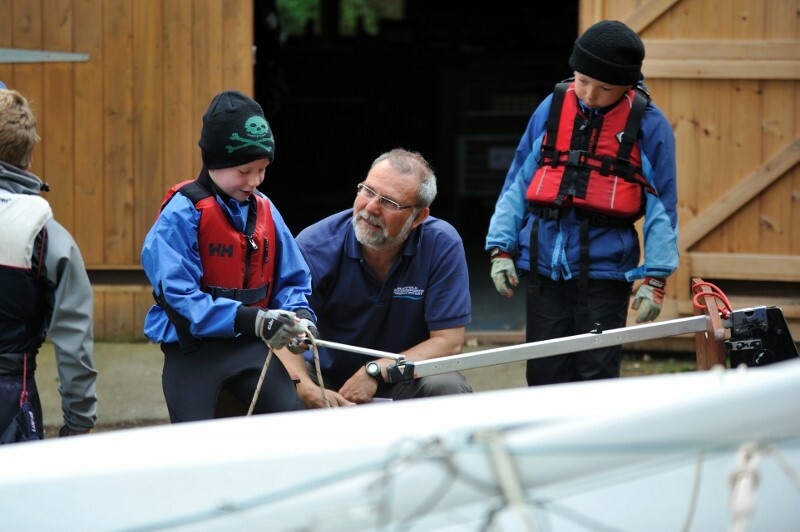 It has been working with Neptune Youth Group and those keen to learn to sail in the local community for many years. The Centre has been divested from SWSA to Neptune Sailing Management Committee. It has been awarded charitable status. In our first year of operation the centre has worked with students from Chelmondiston, Shotley and Holbrook Primary Schools and aims to extend it's work more fully with the local community. We have strong links with the Scouts and with students from Otley College. The Centre has a modern teaching building, constructed about three years ago, together with a purpose-built workshop, which was added more recently. Changing facilties are available on site. Neptune Sailing has worked closely with Royal Harwich Yacht Club for some years, providing youth training weeks for members. It has close links with Woolverstone Project, which provides opportunities to sail for those with a range of disabilities. Both relationships will be developed further. The Centre has a wide range of craft, both dinghies and powerboats. Access to the water is provided by Marina Developments and our Wayfarer dinghies are moored in the marina with easy access. Need a map to find us? Neptune Sailing is located at Woolverstone on the water-front between Royal Harwich Yacht Club (RHYC) and Woolverstone Marina. From Bury St Edmunds follow the A14 leaving at the exit before the Orwell Bridge. Turn left at the mini-roundabout and head down the hill towards Ipswich. At the next mini-roundabout (signed Shotley) turn right, past Fox's Marina and under the Orwell bridge. Follow the Shotley road until you enter Woolverstone. After 800m turn left(signed Marina) down a long single-track road. When you reach the water-front we are immediately after RHYC.